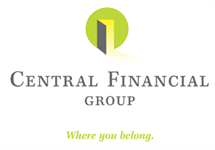 Merle joined Central Financial Group in 2006 and became a partner in 2007. His primary responsibility is to identify, attract and hire producers for the organization. Merle has more than 20 years of experience in the financial services industry. He began his career as an agent in Minnesota before joining The Principal Financial Group, where he served as a management consultant, as well as Director of Agent Training and Management Development. He returned to the field in 1999 and worked as a manager for New York Life Insurance Company. His diverse background helps him in his primary role of attracting independent producers to Central Financial Group, while managing relationships with the carriers with which CFG maintains national marketing agreements and CFG’s Preferred Brokerage Network. Merle and his wife, Melanie, live in Clive, Iowa, and have two children. Merle is an avid golfer and follows all the Minnesota-based sports teams. His favorite times are those spent with his children as they grow up.